The pump bottle is hygenic. I love the commercial for this serum – it kind of takes deceiving the customer (me) – to a new level. It promises to reduce 5 signs of ageing by 50% or more in 12 weeks – which is wrinkles, lines , dark spots, lifting, uneven skin tone..I find this deceiving because honestly I think we all know by now, that the only way to reduce your lines and wrinkles is by botox or other cosmetic procedure – yes a serum can lift your skin, give you loads of moisture and make you look fresh – but it won‘t take years off your face. So what did I think? First and foremost, I expect a lot of hydration and toning from my serums – all I got from this one was some tiiiiiny extra hydration but not at all anything extraordinary. Secondly, all those promises about the disappearance of wrinkles and lines – that just didn‘t happen. In fact since this serum provided me with so much less hydration then the other serums I have used have, my skin looked more gloom, dehydrated and my wrinkles more apparent. Conclusion – will never repurchase this serum again. Easy to apply, washes of with water. No dramatic volume effect, not good for night on the town. I bought this mascara by mistake.. Running through the airport, the Clinique woman in taxfree gave me the wrong mascara, which I only noticed when I openned it in another country and noticed the unconventional green rubber brush. But I must admit, I dont regret the mix up. Sometimes its good to stray from your safe buys.. Once I understood that the brush doesn’t make it any more difficult to apply, I was happily surprised. This mascara is great for the easy work look, where you want to look makeup free. It really does elongate the lashes, and there is no clumps, it is a silky smooth texture. Best thing about it, is it washes of in the shower, or even just with cold water plashed in the face, and doesn’t leave resistant running streaks under your eyes. This is my fave everyday mascara! If you want a more dramatic more is more kind of mascara though this is not the one for you! The package lasts for loooong. Is‘t absorbed on naturally oily skin. I‘m the beauty fairy with the problem oily acne prone skin (read some of my previous reviews here and here – describing my journey looking for the best make-up for my pain in the a… skin). This foundation is supposed to be oil controlling and absorb shine, saying that is “wears beautifully all day”. First and foremost it is not light-weighted (as promised) – but rather thick in its texture. Secondary it is not absorbed but rather travels my face on top of my natural oil – those of you who have oily skin you get this – for the rest of you lucky people: my make-up is moved around because this foundation does not absorb the oil at all. Thirdly if you use a powder on top of this foundation you look like horrible like the most unnatural one can look with make-up on ever. Not recommended unless its Halloween. 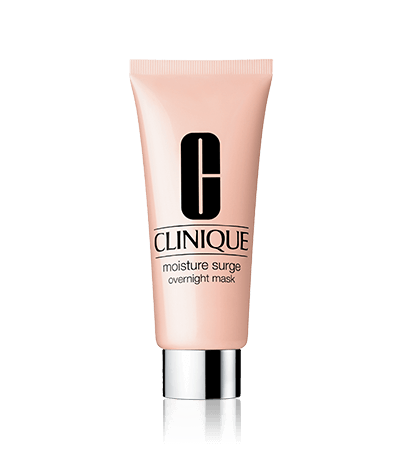 This foundation together with the anti-blemish solutions make-up – are the two products Clinique make for problem prone skin – and honestly none of these two are good in my opinion. But I prefer the anti-blemish foundation to this one since it feels lighter on my skin and doesn‘t move around my face as much during the day. The facial oil of this year that brought our face out of the winter darkness.. The splurge of the year – which was well worth it.. The lavender oil that puts us to bed like babies was a favourite during this sleep deprived year. The budget product of the year was … look here. The hair brush which became our favourite hair thing in 2016..
…but this one also did wonders to our hair. The face mask which did nothing of what it promised (see the full list of face masks we won‘t repurchase here). This rose lip balm made us (and our wallet) very very sad. The scrubb which robbed us and made no difference to out skin! The Kiehl‘s disappointment of the year was this one. The foundation that made us look beyond unnatural and was just not worth a penny of our hard earned salary. Thank you for a great 2016 and we are looking forward to guide you through the beauty jungle for another marvellous year! Does not stay on for too long. Embarrassingly enough (we are not supposed to be effected by commercial to shop – and admit…) I bought this lipstick after seeing a Clinique add a few years ago. Since I really like this one, I keep on re-purchasing it. What I like – it is very soft and easy to apply. My lips feel very moisturised and it applies evenly. It has a bit of gloss in its texture but it’s very discreet. The package feels very luxurious too. The minuses – it could be replaced by a budget version, since it does not stay on for too long. My skin feels very hydrated and “fresh” the next morning. The cream is 30% more expensive in Europe than in the US which makes it priiiicy. I remember as a child watching my mum walking around with masks on made of very weird ingredients such as egg yolk and avocado. I haven’t quite followed in her footsteps in terms of using what you find in your fridge, it has been inprinted in my mind that using masks is a beauty must. I also believe that its a quick fixer and help in the dry skin department, especially during the winter. Especially now when we need to hydrate that hangover away from those crazy new years celebrations (Happy new year everyone!). This is an overnight mask that promises hydration and I have combined skin. The mask has no smell, the texture is of a light cream, you only need a small amount for application, it’s not sticky and I haven’t experienced any break-outs or pimples when using it. When you wake up your skin feels as if you just put on a nice fat face cream. I also feel very fresh but that probably has something to do with the power of my mental believe rather than the mask. Why use this then if I can just use a cream you ask? Well my skin is too sensitive for superfat cream and I get pimples, so for me it’s a great alternative. Is it worth the money? Well if you can get it from the US were it’s 30% cheaper than in Europe then yes go ahead, but if not keep looking for a cheaper local alternative. This is not a miracle mask, but a very hydrating one. November 10, 2014 November 14, 2014 | Anna M.
Good for a natural look. No clumping. It doesn’t really do the job for me. I have to apply it three or more times to get some long lash/volume effect. I was pretty disappointed with this mascara. I saw some good reviews of it around the web and wanted to try it out. The brush doesn’t really apply that much mascara to my eyes in one stoke, so I have to re-apply two or more times before I get an OK effect. This takes time and increases the chance of me getting mascara elsewhere (around my eyes) and having to use a cotton bud to remove it. When applied three to four times in a row, my lashes looks fine, but no more than that. I use the mascara for every-day. 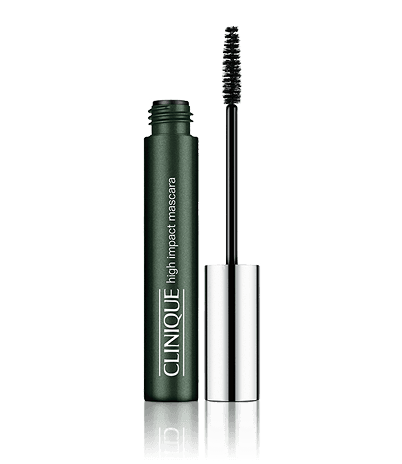 For parties where I want to have a long and voluminous effect, I will not use the Clinique high impact mascara. The mascara should be good for sensitive eyes, and my eyes didn’t “complain”.